He's the King of Atlantis, possesses superhuman strength, and a founding member of the Justice League and this fall, he's coming on to land to grace the silver screen. This deluxe 12" polyresin statue puts Aquaman at the ready and is highly detailed to look like his big screen counterpart in Jason Momoa. 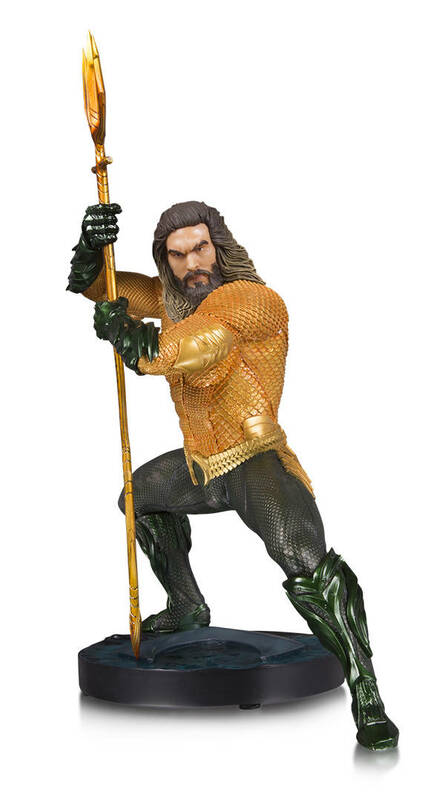 DC Collectibles is not responsible if your fish try to communicate telepathically with this epic piece. Based on the AQUAMAN movie, these highly detailed statues are carefully crafted to match likeness to the characters from the film. From kings of Atlantis to the fiercest foes of the deep, these statues capture all the action and thrills from the big screen..